We will be conducting the campout at Colorado Rifle Club. 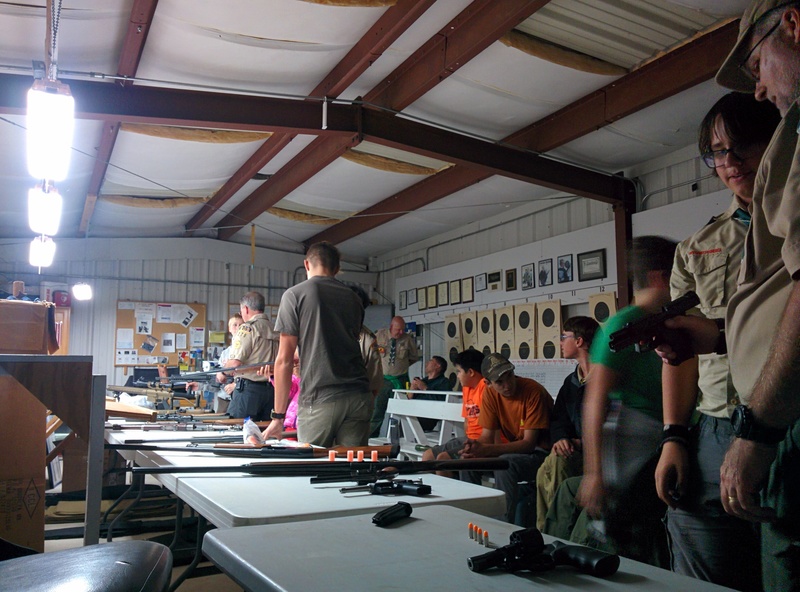 The cost is $56.00PP which includes ammunition, great food, instruction and use of firearms. NOTE: If you would like to earn the merit badge, please print and bring the above workbook(s). Camping gear – Please review the gear list on page 2 of the event information that Mr. Liles emailed. A zero degree bag will be more comfortable. e. WEAR BOOTS – It is much more rugged than you think out there. Tennis shoes get wrecked. f. Bring a sleeping bag and tent. We will have spares in the trailer. This event requires maturity and safety. The event leadership team expects no horseplay/goofing around and absolute focus on the instruction given. This is a skills based course to help boys have a rewarding experience with firearms in a controlled environment. If you are coming late, please let me know in advanced the timing and who is coming for the roster. You are responsible for getting out to CRCI. If you have questions contact Mr. Liles. Our calendar is available on Scoutbook. The calendar will no longer be available on this website. Troop 278 is based out of Superior, Colorado. Our troop is very active, going to places like Philmont, Northern Tier, Seabase, West Point, Mt. Rushmore, Yellowstone, California, Camp BenDelatour, Camp Dietler, and Camp Alexander. We’ve gone snow camping, climbed 14’ers, rafting, hiking, shooting and a wide variety of exciting activities. We also help people in the community by doing traffic control for triathlons and delivering food to the needy. We’ve even gone to California by train! Besides having a good time, scouting prepares you with life skills that you won’t get in school. Canoeing, starting a campfire, pitching a tent, fixing a car, blasting clays with a shotgun, camping in the snow…there’s over 120 life skills that you can learn and earn a merit badge. Contact us for the latest information on meetings. Copyright © 2019 Troop 278. All rights reserved.